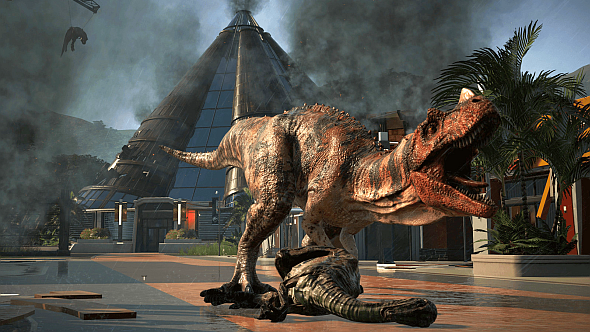 Universal Studios approached Frontier about making Jurassic World Evolution, according to Frontier CEO David Braben. Indeed, of the many metrics by which to measure the huge and growing cultural relevance of videogames, being invited to adapt a flagship property by a multi-channel entertainment studio that has dominated the mainstream for decades is surely among them. And then, y’know, there’s the industry’s global valuation, the audience size, the engagement with gaming content on social media, esports, et cetera. Master careers as diverse as pilot, mayor, or football manager in the best simulation games on PC. “They have been great people to work with,” Braben adds. Would he like to extend the relationship, maybe work with any more of their IP? Jurassic World Evolution is out now – as is the movie, coincidentally – and if you, too, cannot accept that “you never have control, that’s the illusion!” you can pick it up on Steam here for $54.99 (£44.99).